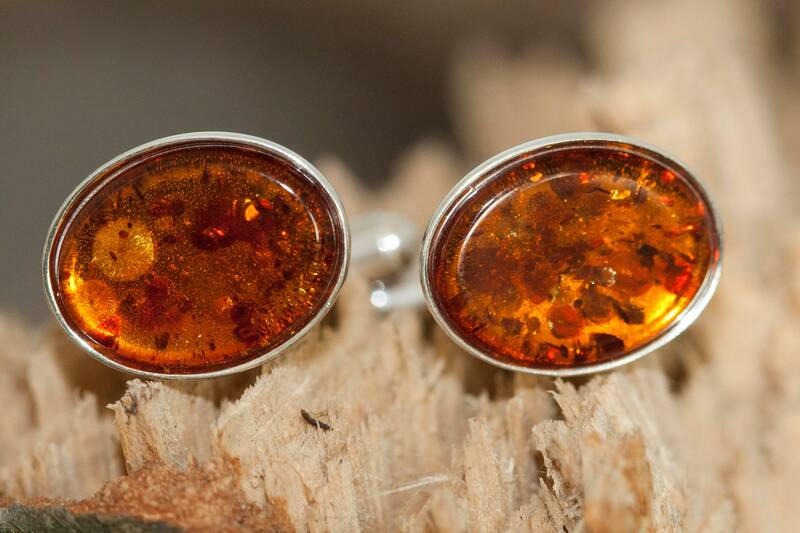 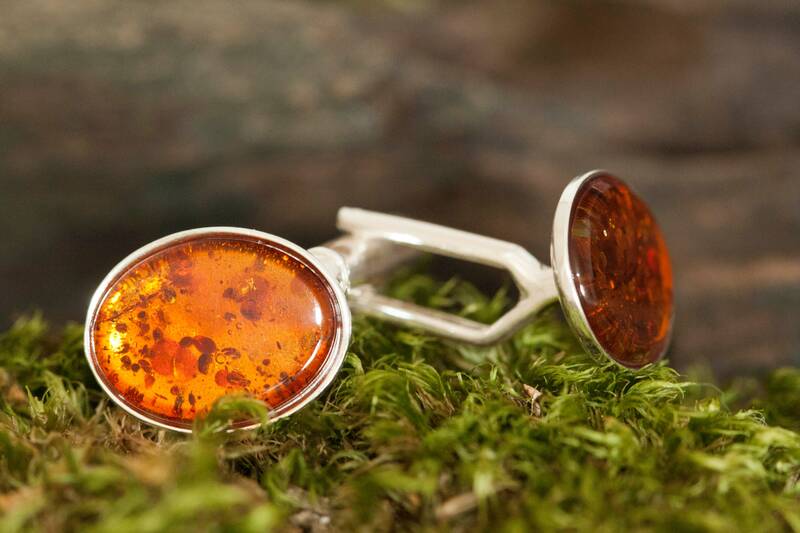 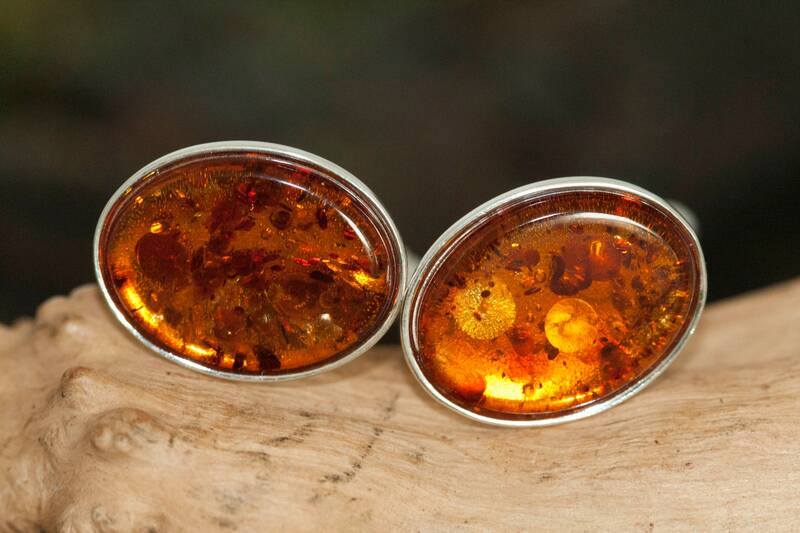 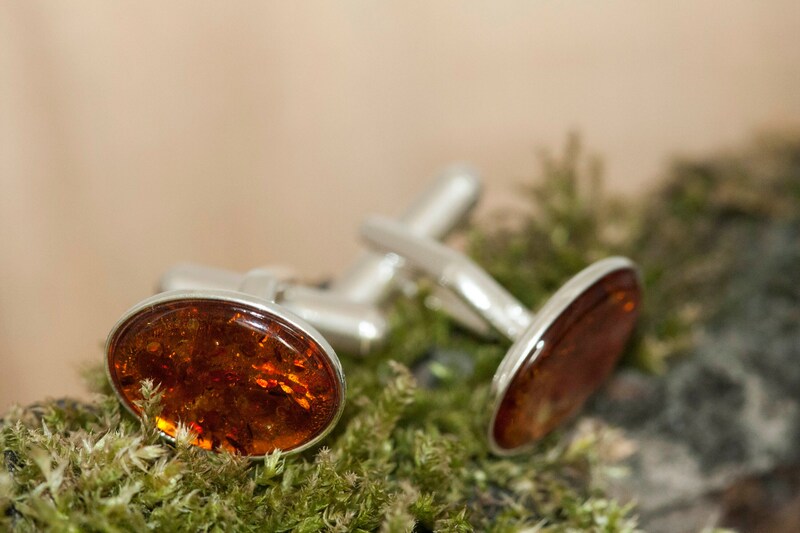 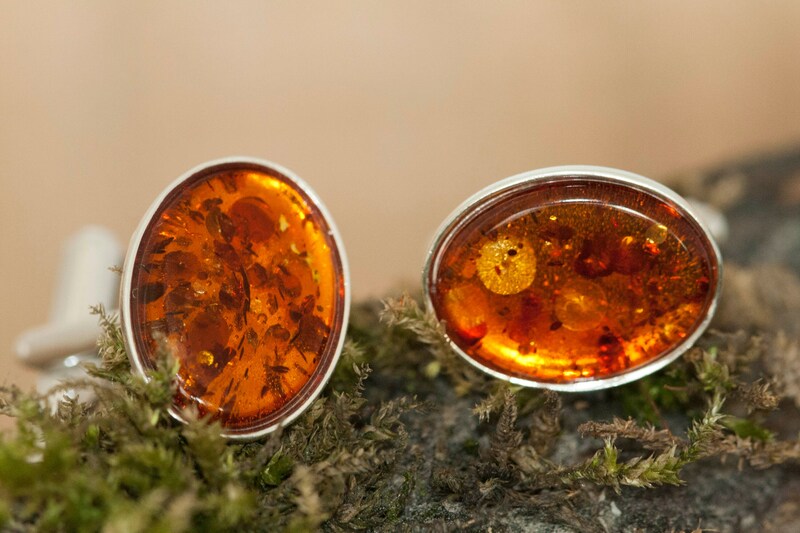 Elegant, Baltic amber and sterling silver cufflinks. 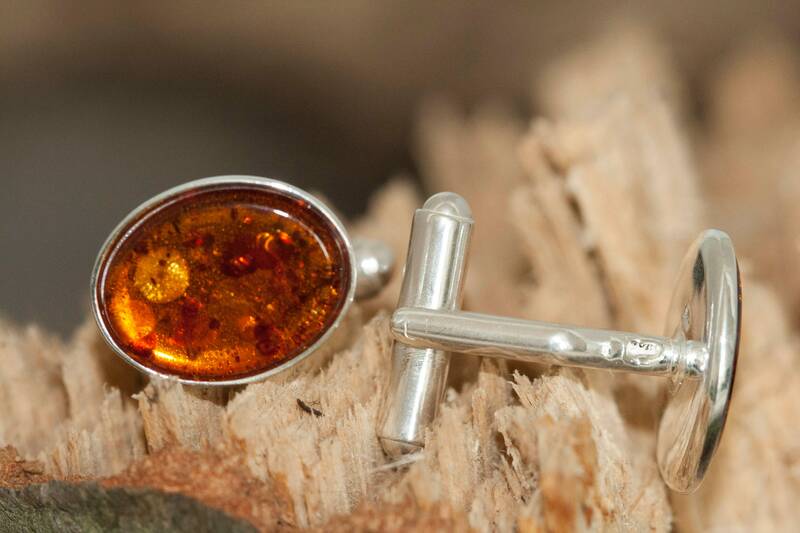 Perfectly designed, keeping a balance between cold silver and golden amber. 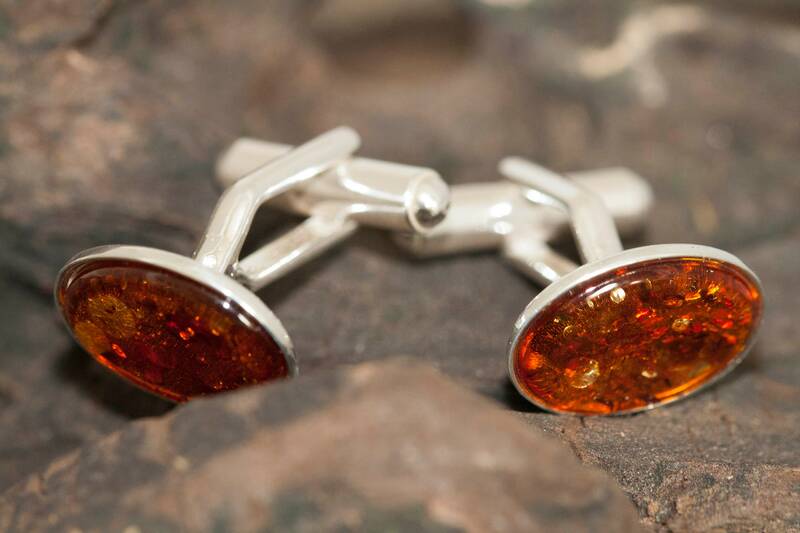 Nice, formal men jewellery. 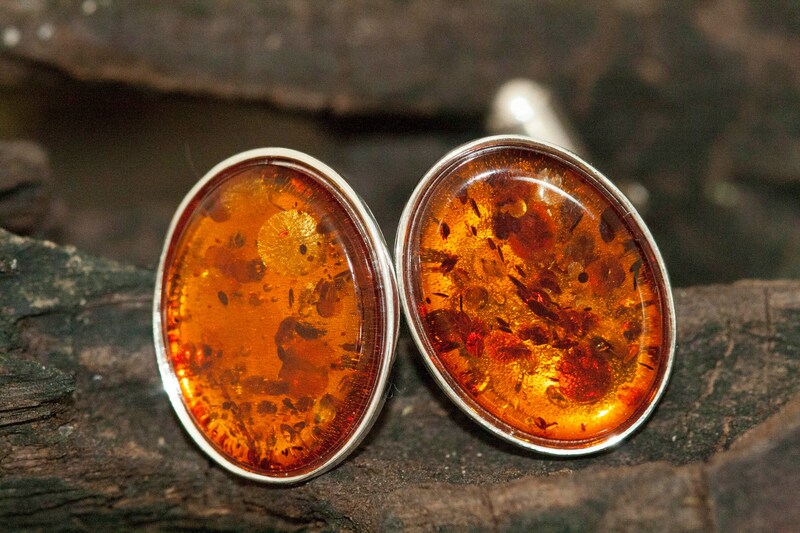 Size of the design: 18 mm length, and 14 mm width. 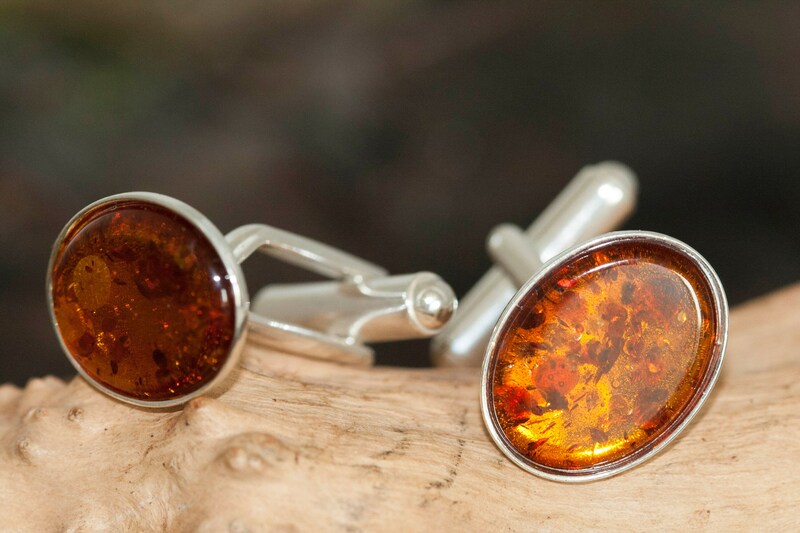 Perfectly polished cognac Baltic amber and 925 sterling silver.